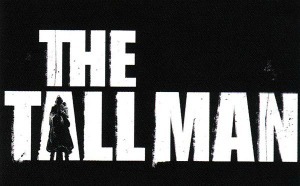 Hot on the heels of the announcement that Pascal Laugier's follow-up to Martyrs would be debuting at SXSW, we've uncovered a little gem to go along with the various images floating around the web for Laugier's The Tall Man. The film centers on a legend about the "Tall Man," a guy who goes around abducting children. When her daughter goes missing, a woman tries to unravel the mystery of the legend in the hopes of finding her daughter. The film stars Jessica Biel as the mother, the very talented Jodelle Ferland as the missing daughter as well as the always fantastic Stephen McHattie and William B. Davis. Few details have been revealed about the production and outside a few stills, we haven't seen much from the film. We've uncovered a video which appears to be a portion of the trailer but as good as it looks, it provides little insight into the movie as there's no dialogue. Death to whoever thought it would be fun to pair completely inappropriate music with the video! We'll keep searching for the trailer but until the real thing appears, check out the video below. Might want to turn the sound off and just take in the images - the music completely spoils it.